What’s Behind JPMorgan Chase’s Big Bet on Artificial Intelligence? When America’s biggest bank, JPMorgan Chase, hired Apoorv Saxena in August 2018 as its global head of AI and machine-learning services based in San Mateo, Calif., finance industry watchers saw that as a sign that the bank was making a big bet on artificial intelligence to shape its future strategies. Saxena previously headed product management for cloud-based artificial intelligence solutions at Google. At JPMorgan Chase, he also oversees asset and wealth management artificial intelligence technology. According to Saxena, AI will help financial services companies expand banking penetration worldwide, launch new products and deepen customer engagements. AI has helped technology companies and others outside of traditional banking enter financial services, such as with mobile banking and digital money offerings. However, only firms that can earn customer trust, meet regulatory compliance requirements and enhance customer service will make the cut, he notes. Meanwhile, regulations will have to come up to speed with the impact of AI’s advances and help make way for the industry to grow. The U.S. could learn some useful lessons from other countries like China, as it seeks to promote innovation as well as growth at scale, he adds. 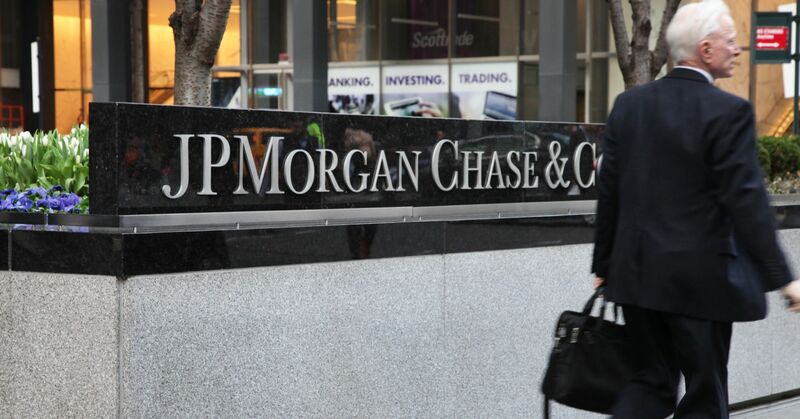 JPMorgan Chase is making a significant investment in AI research, Saxena notes. For now, he is focusing on building “a rock-star team” to lead AI initiatives at the bank, he says on social media. Knowledge@Wharton spoke with Saxena at the recently held AI Frontiers conference in San Jose. Knowledge@Wharton: How is AI reshaping the financial services industry? Apoorv Saxena: AI is impacting every industry. AI is making a substantial, wide-ranging impact because it is used with data, and every industry is increasingly becoming data-driven. Companies across every industry are looking to gather and use more data. They want to better understand who their customers are, how they interact with them, the services they provide, and how they can improve those services and experiences. Every activity is becoming data-driven. AI is allowing companies like Google, Facebook and Amazon to achieve hyper-scale. You can get personalized news feeds in real-time. A grocery store or a bookstore like Amazon can serve hundreds of millions of users globally. That is possible when you inject AI into every piece of your business process. Now, transfer this to AI and finance. The future of AI in finance is a bank that can serve billions of people and provide personalized services. Knowledge@Wharton: What are some of the opportunities and challenges in implementing this vision? Saxena: The opportunity is that AI will let banks provide services in much more personalized, highly scalable and customized ways. The challenges include the ability to explain your AI – what we call “AI explainability.” When AI is used, the regulatory environment requires banks to justify or rationalize decisions. JPMorgan is trying to be the leader in applying “explainability” to financial markets. Another challenge is to ensure confidentiality, since a lot of the data in finance is personal information or highly confidential. Knowledge@Wharton: If you look at financial institutions, technology companies and telecom companies — which are all broadly involved in mobile money and offering financial services to a massive number of customers — who do you think is best positioned to win in AI and why? Saxena: The essence of finance and banking – banking in particular – is trust. User trust is key. The person on the other side wants to trust you with their most valuable assets, and with their most valuable information. And they want you to manage these assets in a way that is compliant with regulations. The second factor is customer service. Customers are looking for you to provide the best service possible, in a manner that conforms to the trust. If you break it down to fundamentals, finance is a service built around trust and regulation. Anybody who can replicate that model of trust, regulatory compliance and client service is well-positioned to be a player in this space. It does require very deep domain knowledge. There are some areas of banking, like payments, which involve highly skilled operations, but which are not deep-domain. Many other financial services [require] extremely detailed and very deep domain understanding. For example, how do you manage M&As? How do you create complex securities? These are non-trivial and highly domain-specific, and there will be space for banks to continue to provide those services, given their expertise, existing client relationships and thorough understanding of the complex environment. Knowledge@Wharton: Knowledge@Wharton recently interviewed Kai-Fu Lee (CEO of Sinovision Ventures, a venture capital firm that aims to build high tech Chinese companies). In his book AI Super-Powers, Lee writes that in industries such as financial services, China is doing some interesting and creative things, notably at companies like Tencent and Ant Financial. Do you agree with his thesis that China is ahead of the U.S. in AI implementation? Secondly, what are some lessons that U.S. financial institutions could learn from the way AI is being deployed in China? Saxena: Rather than commenting on whether China is ahead or not in AI, what I would say is to be successful in the application of AI in any industry, including finance, you need an enabling environment, regulatory structure, and user behavior and products that are tailored to that. China – and other parts of the world – have been moving toward becoming cashless societies for some time. In these countries, consumers conduct financial transactions mostly through their mobile phones. Mobile wallets are still new in the U.S. Because of this difference in user behavior, China and other countries are starting with a completely different stack of financial products. The U.S. regulatory environment is very different from that of China. And financial services offered in the US are more complex and diversified, as they’re tailored to various participants. The consumer in the U.S. expects the same level of frictionless experience as that of China but also has a higher bar on data security and privacy. U.S. financial services companies, including JPMorgan Chase, are aggressively investing in AI-driven innovation within those parameters. We will see lots of interesting products coming out in the next few years.